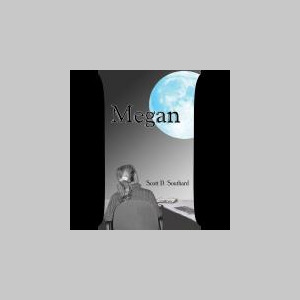 Much like Megan, Scott D. Southard grew up with a love of literature and the worlds of the imagination. Originally from Grand Rapids, Michigan, Scott studied writing at college, receiving his Master's in the subject from the University of Southern California. He is also the author of 3 Days In Rome, a dark comedy about the afterlife, and The Dante Experience, a radio play loosely based on Dante’s Divine Comedy. 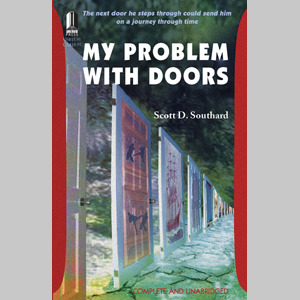 At this time, Scott is working on the final revisions of his next novel, My Problem With Doors, a unique time-travel adventure filled with everything from mad Roman emperors to bloody pirates to karate masters, which is also set to be published by I Publish Press. Scott resides in Lansing, Michigan with his wife, son, and a very opinionated dog named Bronte. You can find him on both Facebook and MySpace.